Two New Orleans charters will close next year. Students at one will get special treatment when picking their next school. Algiers Tech students will get first pick in OneApp. Gentilly Terrace students will be assigned to another school. The charter network plans to send those students to Capdau, which is moving into a large school it can’t fill. Michelle Blouin-Williams was the only candidate interviewed by the New Beginnings committee. Pierre A. Capdau Charter School, at right, had the dubious distinction of being the first failing school to be taken over by the state-run Recovery School District. Now it and Lake Area New Tech Early College High are among the first to move back under the auspices of the Orleans Parish School Board. Board offers little explanation for resignation in second year of three-year contract. Three of its four schools declined in the last round of state assessments. New Beginnings board voted to put Lake Area high school under oversight of School Board. Then it didn’t. Parents hope new hire brings stability after previous principal and seven of 20 teachers left since start of school. The four-school charter organization has seen turnover at the top of every campus in past two years. Agenda recommends approving leader at French immersion school; other board will vote after closed-door session. How did your school do? Money will plug deficits, fill reserves and add support staff at four charter schools: Gentilly Terrace, Medard Nelson, New Tech and Pierre Capdau. The money will mostly be used to augment reserve funds at New Beginnings’ four schools. UNO wants more rent for space leased to the network’s accounting department, but recent cost reductions are expected to offset the increase. The windfall makes up for enrollment undercounts in previous years. The New Beginnings School Foundation regular board meeting is scheduled to begin at 5:30p.m. this evening. It will be preceded by a meeting of the board’s finance committee. Applicants will be questioned about volunteerism, budgeting and other issues the board deals with. One of its four schools was eligible. Carla Major follows several other longtime members who left. Group had fallen below mandated seven members; now has 12. It will cost $30 million to bring students to and from public schools this year, compared to $18 million the year before Katrina. The increase appears to be a consequence of citywide enrollment and the shift from a centrally-run school system. A few schools are working together to negotiate busing contracts. Schools all had principals depart last year, but other administrators could have completed teacher evaluations. But school will wait to see how funding from state will be affected. School’s governing body fell below the state-required seven members. 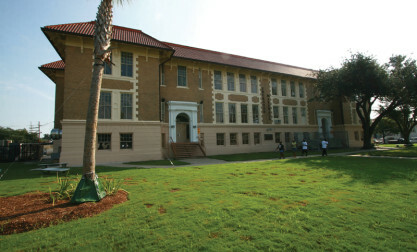 The former University of New Orleans chancellor was the board’s chairman. Governing body for four charter schools falls below state-mandated seven members. Public wasn’t allowed to comment on individual items before the board in a June meeting. School starting dates vary throughout the month of August. Bus transportation routes for coming school year also discussed. Less than a month after slighting public comment in a packed board meeting, the New Beginnings Schools Foundation publicly addressed the state’s open meetings law at its meeting Tuesday. “Is there any public comment?” board chairman Tim Ryan said as he opened the meeting. Desmond Moore, principal of Paul Habans Elementary School, will lead Capdau. And Edward Brown, former principal of Abramson Elementary, will run Gentilly Terrace. The network plans a public hearing on the budgets today at 4 p.m. Budgets for the network’s four schools range from $3.8 million to $4.5 million. Some employees were not offered contract renewals and others resigned. Either way, board members are unsettled by the attrition. “We can’t have the public participate in the board meeting,” board president tells a frustrated onlooker. This comes two weeks after a committee abruptly adjourned when one administrator asked the board to discuss her employment in open session. The committee meeting, unlike most, was packed with about 25 teachers, parents and other network staff. The network wants to hire two principals and one assistant principal by July 1. The program rewarded teachers based solely on improvements in their students’ test scores. In all, five teachers received more than $24,000 apiece, totaling $167,669 — nearly half the allotment available to all New Beginnings staff. But the highest payouts were offered only to those in high-stakes grades. School leader says she’s working on a new formula. New Beginnings’ special ed students fare poorly on state measures when it comes to dropout rates, English and math, official says. New Beginnings spent $64,000 in Title I money on a teacher who was not qualified to receive the funds, audit says.